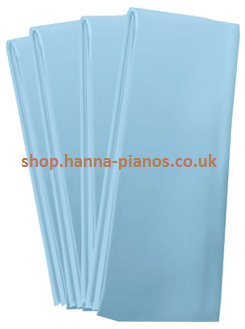 Professional Piano Tuning Services - A. Hanna & Sons Pianos Ltd.
We will arrange a date with you for your piano to be tuned. One of our tuner/technicians will arrive on your chosen date/time and tune your piano. We can then send you a friendly email reminder the next time your piano is due to be tuned, should you wish to have your piano tuned with us regularly. Our current (2018) piano tuning service charge on weekdays in the London area is £85.00 including VAT. Payment to be made before the piano tuning appointment. (On the day of booking). Appointments between 9:00am and 5pm. Prices vary for areas outside the M25. 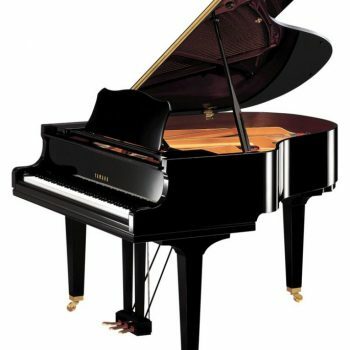 Most piano manufacturers recommend that every piano should be tuned at least twice a year; however more frequent piano tunings may be required according to the age and condition of the instrument, and fluctuations in temperature and humidity. More frequent piano tunings may also be necessary the more frequently the piano is played. Hanna & Sons Pianos is a family Local Piano specialists, with a professional team of piano tuners, also benefit from a piano workshop and a piano Shop in Wimbledon, London where they carry out the piano restorations, piano repairs, piano re-polishing and within reach of its local customers in the surrounding areas of SW19 and beyond offering a wide selection of grand pianos and upright pianos for sale in the region. 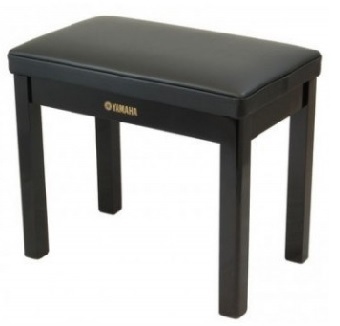 Whether playing the piano for pleasure or preparing to become a professional pianist or your already an established musician in the field of music where the piano is at the very epicenter of your creative musical scores, there will be something the meets with your piano tuning needs at Hanna Pianos. A. Hanna & Sons Pianos was founded by A. Hanna in 1960 in Lebanon. However, we have been based in Wimbledon since 1990. Chucri & Fadi, the Hanna Brothers, have been surrounded by pianos their whole lives, and it is their life long passion. From age of 5 years old, they learned how to clean the small piano parts, and then step by step they learnt the repair of the piano. After learning their craft of piano repairing, restoration, maintenance and most importantly tuning from their father, Fadi & Chucri studied for three years at LCF in London. 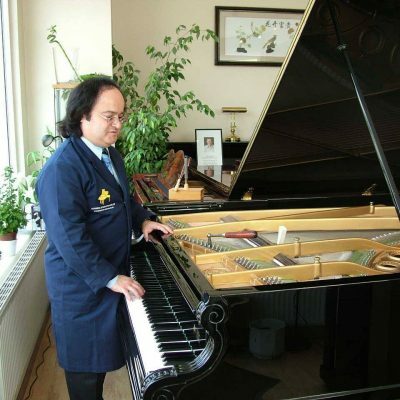 They both are fully qualified in piano tuning, repairs, restoration and piano technology, how to make the pianos. The hanna brothers head up our professional team of piano tuners, technicians, based out of our Wimbledon Piano showroom and workshop. The piano is a complex instrument with thousands of moving parts. These are affected by changes in temperature, humidity, how often the piano is played and how often it is moved. 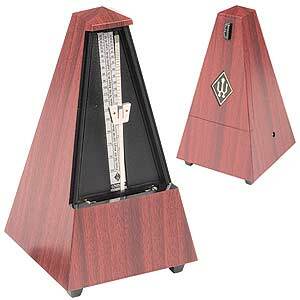 Changes in temperature and humidity cause the soundboard to swell and shrink. The soundboard is connected to the piano strings, and this causes the strings to move with the soundboard. 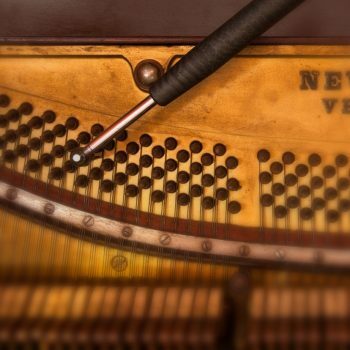 Over time, this changes the tension of the strings and makes the piano go out of tune. If a piano is played often and is situated in a country where rain is frequent, we recommend that it be tuned 3-4 times a year. If however a piano is played less frequently and for recreational use only, then 2-3 times a year should be sufficient. Piano tuning ensures that the piano provides maximum enjoyment for its owners and maintains a high quality sound. N1- Islington, N2- East Finchley, N3- Finchely. N4- Finsbury Park, N5- Highbury. N6- King’s Cross, N7- Holloway, N8- Hornsey, N9- Edmonton. N10- Alexandra Park, N11- New Southgate. N12- Woodside Park, N13- Palmers Green, N14- Winchmore Hill. N15- Seven Sisters. N16- Stoke Newingtom, N17- Tottenham, N18- Silver Street, N19- Archway / Upper Holloway. N20- Totteridge, N21-Enfield, N22- Wood Green. CR0- South Croydon, CR2- Selsdon, CR3- Caterham. CR4- Mitcham, CR5- Hooley, CR6- Warlingham, CR7- Thornton Heath, CR8- Riddlesdown, SM1- Benhilton. SM2- Belmont, SM3- Windsor Avenue, SM4- Morden, SM5- Carshalton, SM6- Wallington. SM7- Banstead, KT1- Hampton Wick, KT2- Kingston Hill, KT3- New Malden, KT4- Worcester Park. KT5- Surbiton, KT6- Long Ditton, KT7- Hampton Court Palace, KT8- East Molesey, KT9- Chessington. KT10- Esher, KT11- Cobham Park, KT12- Walton-on-Thames, KT13- Weybridge, KT14- West Byfleet. KT15- Addlestone, KT16- Lyne, KT17- Ewell, KT18- Epsom Downs, KT19- Horton Country Park. KT20- Walton on the Hill, KT21- Ashtead, KT22- Leatherhead. TW1- Twickenham, TW2- Whitton, TW3- Hounslow. TW4- Hounslow Heath, TW5- Heston, TW6- Heathrow, TW7- Isleworth, TW8- Brentford. 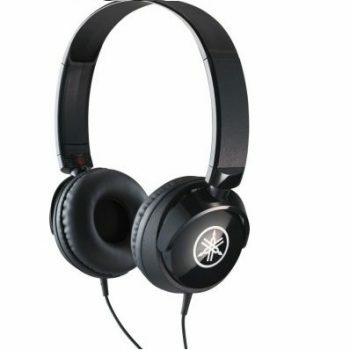 TW9- Kew Gardens, TW10- Richmond, TW11- Teddington, TW12- Hampton, TW13- Hanworth Park. TW14- Bedfont, TW15- Ashford, TW16- Sunbury-on-Thames, TW17- Shepperton, TW18- Egham Hythe. TW19- Wraysbury, UB1- Durdans Park, UB2- Norwood Green, UB3- Hayes, UB4- Yeading, UB5- Northolt. UB6- Perivale / Greenford, UB7- West Drayton, UB8- Cowley, UB9- Denham, UB10- Hillingdon. HA0- Brent, HA1- Harrow, HA2- North Harrow, HA3- Harrow & Wealdstone, HA4- Ruislip. HA5- Pinner, HA6- Northwood, HA7- Stanmore, HA8- Edgware.